Cargo theft is a growing concern for the trucking industry with driver safety at the forefront. Here’s a closer look at the worst areas. Being a truck driver is the most dangerous job in America and the threat of cargo theft from potentially armed thieves looking to steal truck cargo escalates the risks for truck drivers. 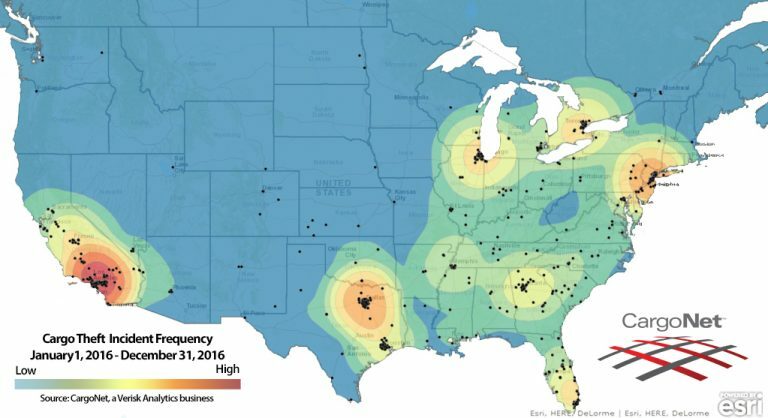 According to CargoNet, there were 836 occurrences of cargo theft resulting in an estimated $172.9 million in losses during 2016. Los Angeles County had 329 thefts reported from July 2013 – July 2016, the most of any other county in America. 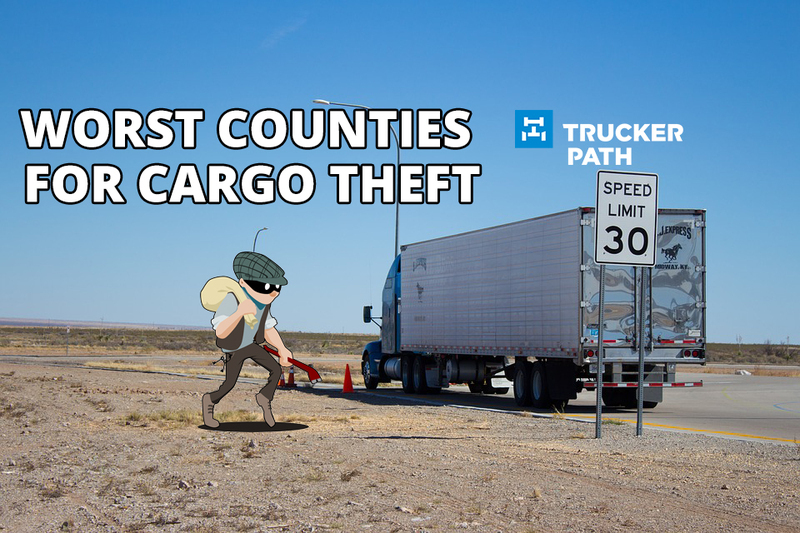 The worst state for cargo thefts was California, with 228 thefts, an increase of 36 percent from 2015. The most common day of the week for cargo thefts was Friday with 164 incidents. There was a 5.1 percent decrease in total cargo thefts in 2016 compared to 2015. With over 8,000 locations to find parking in our app, you can find safe truck parking at the truck stop, rest area even Wal-mart of your choice. We even have a list of the best truck stops in America! Best of all you can see how many truck parking spots a truck stop has and see if there are any available in real-time. Download our free app today in order to save yourself time and provide you with the peace of mind you deserve. Learn More About Trucker Path!